Sony has announced that its PlayStation Network (PSN) service will be rebranded Sony Entertainment Network (SEN) on February 8 after a scheduled software and firmware update going out this week for PS3 and PlayStation Vita owners. 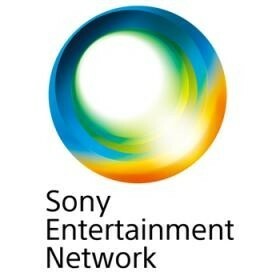 “This transition is based on Sony's goal to enhance its unique digital entertainment offering. As a series of these activities Sony started last September, PlayStation Network will be aligned with Sony Entertainment Network. This helps us get closer to our goal of establishing a global comprehensive network platform of services across games, movies, music and more, all accessible from one convenient account,” Sony stated in an email sent to PSN users over the weekend. PSP users will remain unaffected by the move as the Japanese firm pushes towards consolidating their multiple existing online services into one platform. "For general purposes, this account change is a change in name only. Your username or password will not change, nor are we asking you to change them," Sony further stated. The existing terms of service will be modified with the incorporation of the PlayStation Vita’s location based services, as well as tweaks to the terms for parents of minors and sub-account holders in regards to the chat parental control settings. The high profile attacks to the PSN infrastructure last year damaged the service's reputation, with millions of users' personal details compromised. While the move to consolidate existing services certainly makes sense for its customers, it will also help the firm distance itself from the controversy of those events, as well as the outcry they received for the PlayStation Network remaining offline for several weeks following the intrusions. Sony also announced a change to the leadership at the firm last week, with veteran Kazuo Hirai set to replace Sir Howard Stringer as CEO on April 1. He will become chairman of the company’s board sometime in June. The move comes as Sony seeks to closer integrate its services and turn around the company’s fortunes, now in its fourth consecutive year in the red.